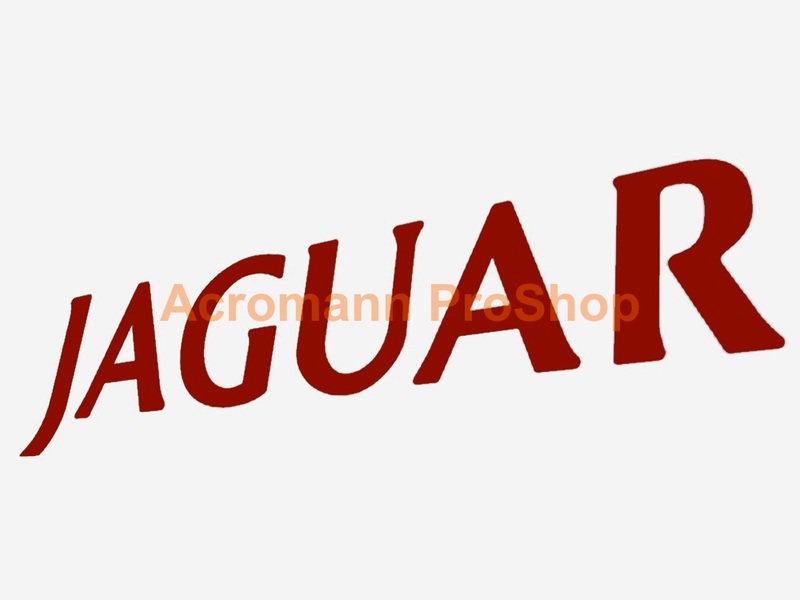 Jaguar classic lettering specific high temp. resistant Brake Caliper decals, a set of 2pcs (two) - for either front pair or rear pair of calipers, 4inch (10.16cm) (L) - Standard Color: (1st color) RED - Decal does not have background - These decals are computer die-cut, highly detailed graphics which made by premium grade high temp. resistant (i.e. No measurable shrinkage in cross direction, adhered to steel) cast vinyl material - They can last for years on smooth & thoroughly clean caliper surfaces - The Decals are supplied complete with application tape, just peel and stick !! *Remarks: (1) Few decals in 4"(L) may be too small to add outline, pls free feel to ask & clarify before purchasing ! 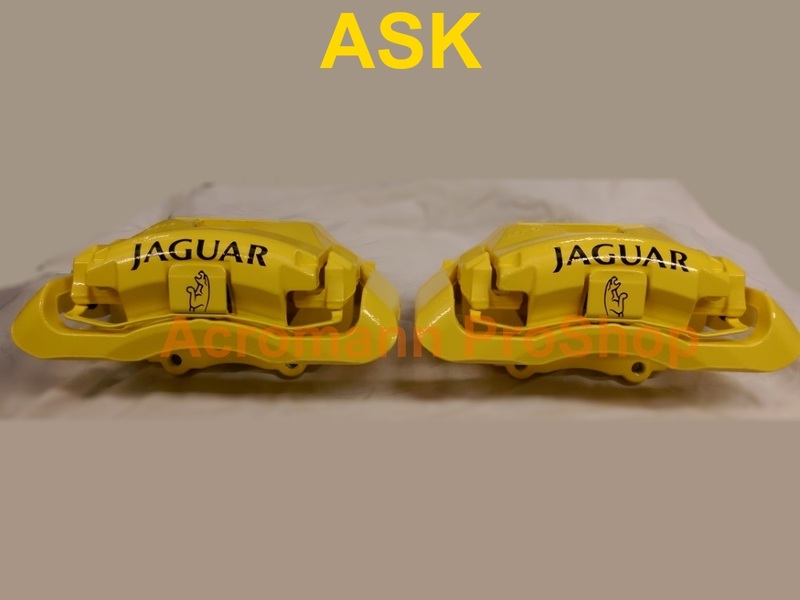 (2) Brake Caliper decals can be lacquer over-coated if necessary for better durability ! 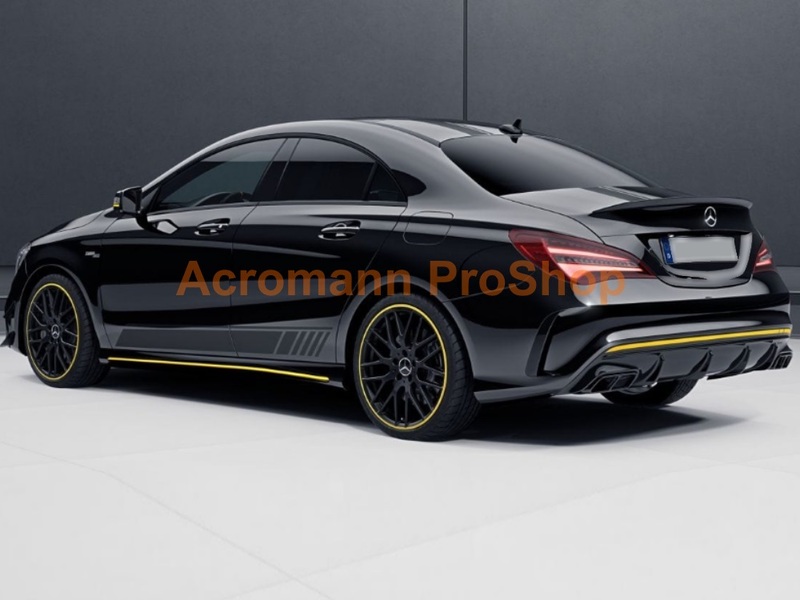 (3) Pls purchase two sets of total 4pcs here if used for both the front & rear calipers ! (4) Any special requirements other than our available options, email to us & ask !